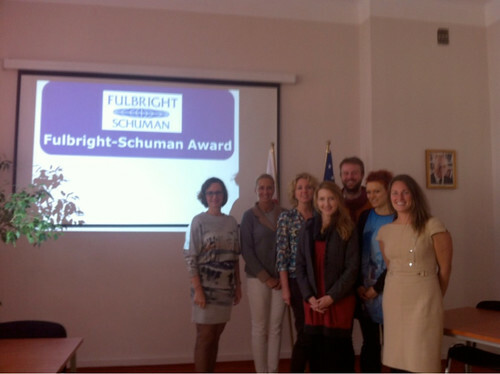 The Commission’s Executive Director, Erica Lutes, visited the Polish Fulbright Commission this week to promote the Fulbright-Schuman program and strengthen the Commission’s relationships with its Polish colleagues. Erica visited the Polish Commission’s office on Monday morning where she met with Fulbright Poland staff and presented on the Fulbright-Schuman program as well as the annual EU Seminar held in Brussels, which have both proven to be a crucial means of strengthening US-EU relations. She also shared some best practices for sustainable advising (e.g. group outreach, training mobility officers at schools, leveraging alumni), Fulbright program management (e.g. going paperless by digitalizing documents), and efficient resources management (ways to save time and money). 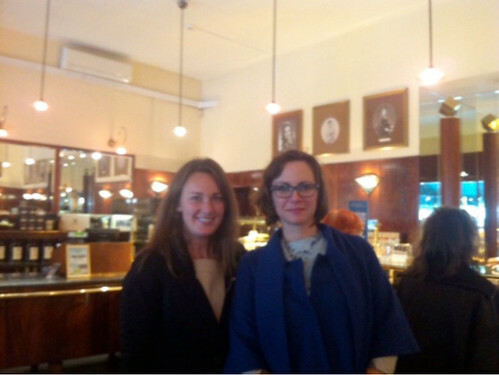 Erica also met one-on-one with Fulbright Poland’s Executive Director Małgorzata Krasowska and Fulbright Program Coordinator Paweł Kozak. Mrs. Krasowska – an Amherst College and University of Michigan graduate – previously served as Director of Admissions for the executive MBA program at the Kellogg School of Management at Northwestern University. 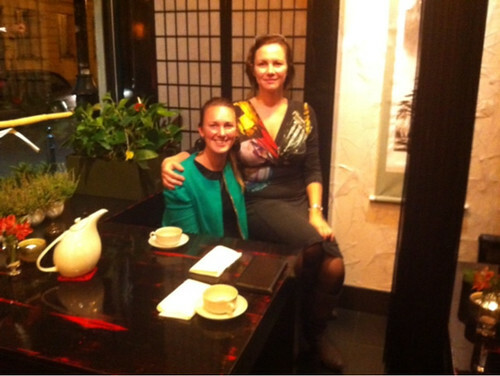 This background provides her with extensive experience and expertise in various areas of international higher education. During her conversation with Mr. Kozak, she discussed the Fulbright-Schuman program in greater detail and shared best practices on how the Commission in Belgium coordinates the program. 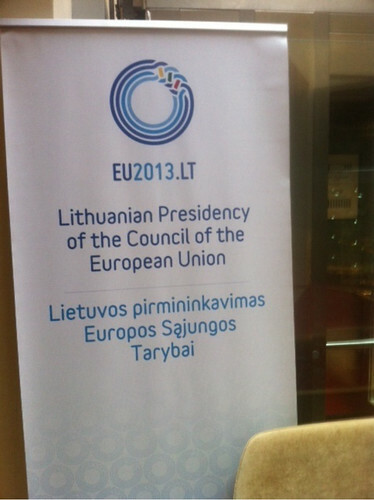 On Tuesday, Erica travelled to Vilnius, Lithuania, to continue promoting the Fulbright-Schuman program. 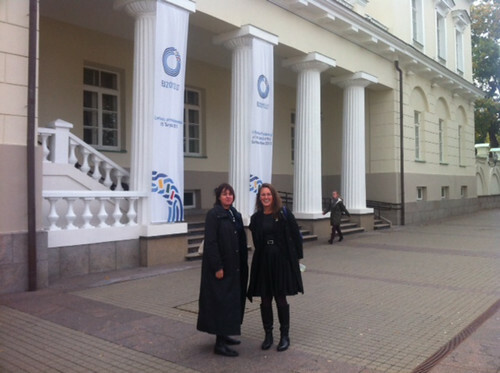 She met with Zaneta Savickiene, educational adviser and director of the Vilnius Educational Information Center (EAC). Zaneta graduated from Vilnius University International Business School with a degree in economics and has extensive experience as a testing supervisor (TOEFL, LSAT, etc.). EAC originated as an organization promoting student mobility to the United States, but has recently expanded to include the EU as well, making it an indispensable partner in familiarizing Lithuanian students and education professionals with the program. 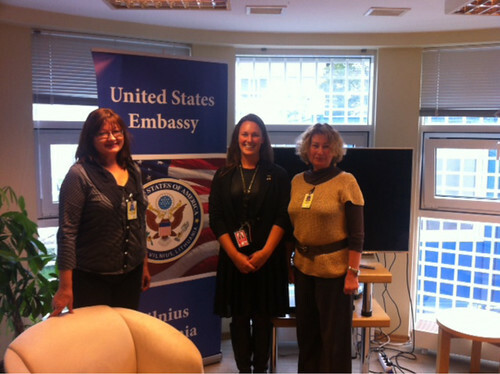 She also stopped by the US Embassy in Vilnius to introduce Fulbright-Schuman and met with Rasa Baukuviene, head of educational programs at the Embassy. Also on Tuesday, Erica presented at two universities to introduce students to the Fulbright-Schuman and the opportunities it has to offer. In the morning she presented at ISM University of Management and Economics, a unique private university offering undergraduate, graduate, executive and doctoral degrees in business. ISM has increasingly strengthened its foreign partnerships with US higher education institutions in the past year. 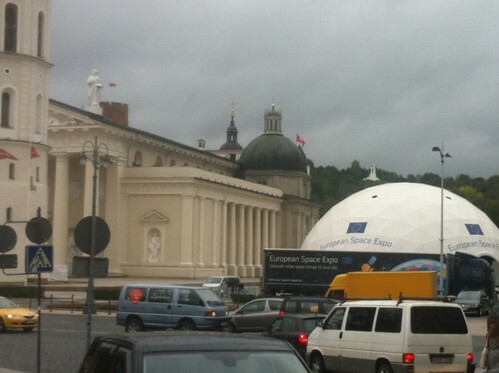 In the afternoon, she presented at Vilnius University, the oldest university in the country. On Wednesday, Erica spoke to students at Romeris University, an institution with an outspoken commitment to international activities as a means of academic and professional development: they cooperate with international organizations, create joint programs with international institutions, and encourage student and staff mobility. 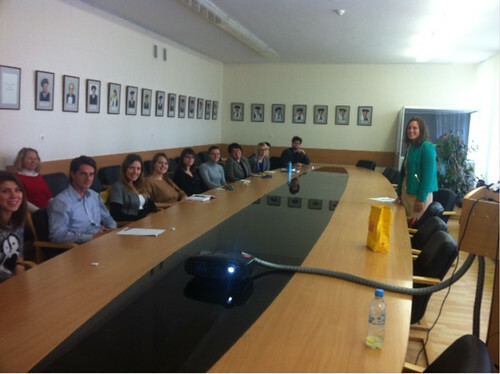 Students and staff alike – not only at Romeris University but at all the other ones as well – were very interested in hearing about the program and the Commission hopes to welcome more Lithuanian applicants in the future.